SUVs have become the toast of the automotive world these days that it’s hard to argue against anyone who wants to buy one. It’s just that even though SUVs continue to grow in popularity, it can’t replicate the suave styling and sophistication of some of the most popular midsize sedans on the market today. 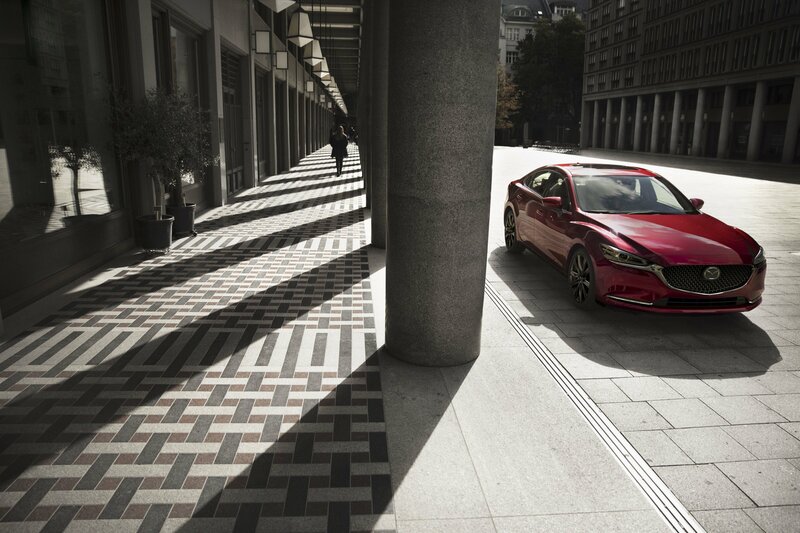 The best midsize sedans are often those that give you the best of all words. They’re stylish, powerful, comfortable, and spacious. Some even combine all those qualities in one package. SUVs have these qualities, too, but they’re often a product of customers needing them as opposed to wanting them. With midsize sedans, especially the luxury types, you don’t need space because you have a family to fit inside it, you want the space because you want to show off your ride to your friends. Likewise, you don’t need it to be powerful for your next weekend getaway. You want it to be powerful, so it grabs the attention of the people around you. In here is a list of the best midsize sedans of 2018. Pay attention to who made it because there’s a good chance that if you’re in the market for one, you’ll end up getting one of these models. Europeans have enjoyed plenty of fast diesel cars over the last decade, and even in the wake of Dieselgate, manufacturers are still offering fast oil burners which don’t get much faster than the BMW M550d xDrive. 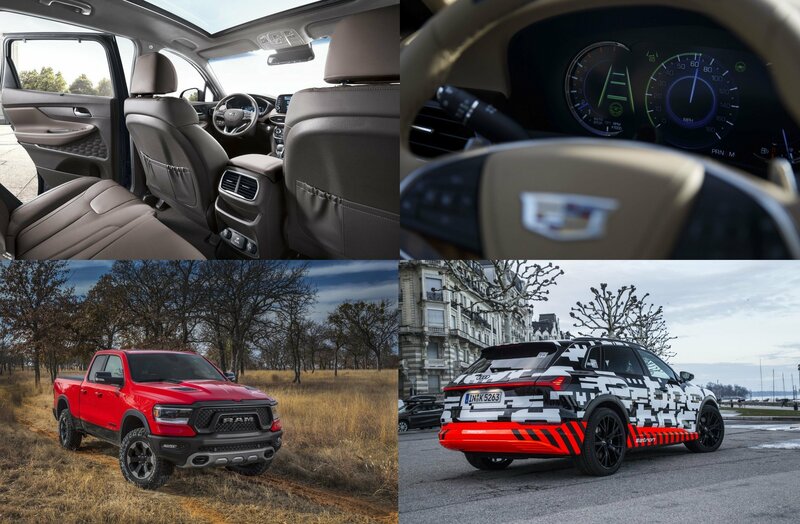 The most unique thing about it is its engine which uses no fewer than four turbochargers on its three-liter straight-six diesel engine to achieve some remarkable performance numbers. Being a BMW, it drives with great precision too and even if it’s a bit on the heavy side, agility around bends is not an issue. It has plenty of tech on board to ensure fast driving is not only possible, but also enjoyable and surprisingly frisky – unlike other lesser-powered all-wheel drive diesel BMWs, the M550d’s tail will step out when you stab the throttle corner exit. It also stands out alongside lesser 5-Series models, thanks to the standard-fit M Performance aero pack, trunk lid spoiler and massive M brakes with blue calipers; the only other 5-Series which could attract more attention is the mighty M5. Only available in Europe, the M550d is not the most powerful diesel in the world, but it is by far for its engine displacement. Being a diesel, it’s also considerably more efficient than a gasoline burning performance car with the same output and if you can refrain from driving it like a hooligan (which it kind of edges you to) its large fuel tank means you can cover quite a lot of ground without having to stop. 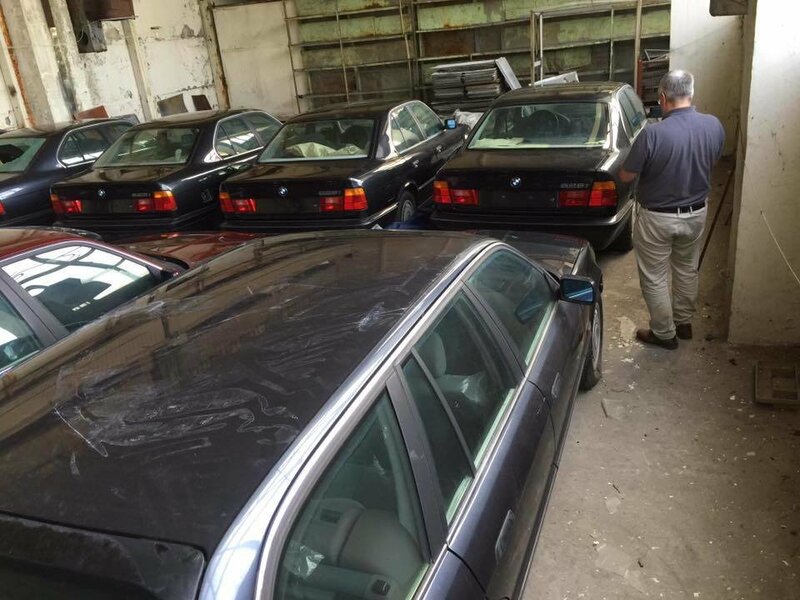 Last week, BMW removed the silk covers from the all-new BMW 3 Series G20. It is possibly the most important car revealed at the Paris Motor Show and definitely the most important car BMW revealed in the last three or so years. Yet, even on the photographs, one could definitely see that the 3 Series grew quite a bit. BMW reported a 2.9 inches increase in length. When I was working on that BMW 3 Series piece I was wondering just how big the new 3 Series really is. The answer surprised me. The new BMW 3 Series G20 is bigger than the BMW 5 Series E39. Ok, not exactly longer, but I’ll get to that in a jiffy. Considering the E39 is basically my favorite car, I was almost annoyed, but then reason took over. I asked myself, how did we become so strangely obsessed with size and getting things bigger? 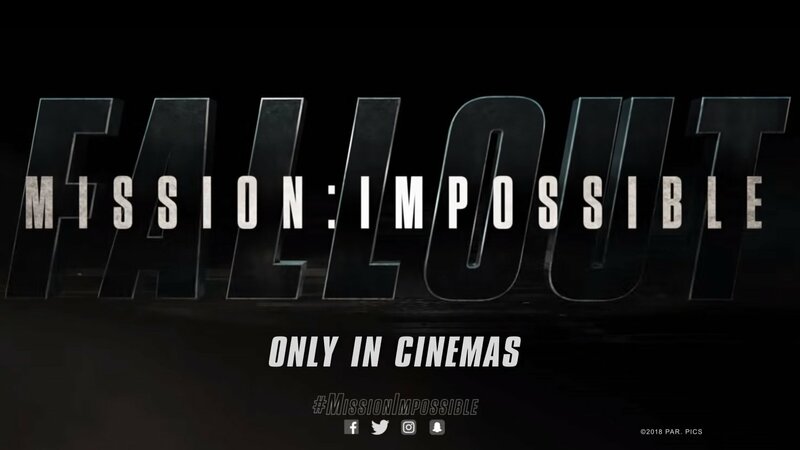 BMW will once again take center stage in the new Mission: Impossible movie as the new M5 is set to play a prominent role in the sixth installment of the Tom Cruise spy-movie franchise. Thanks to a new trailer released today by Bimmer, we now know that the new M5 will have its work cut out for it. 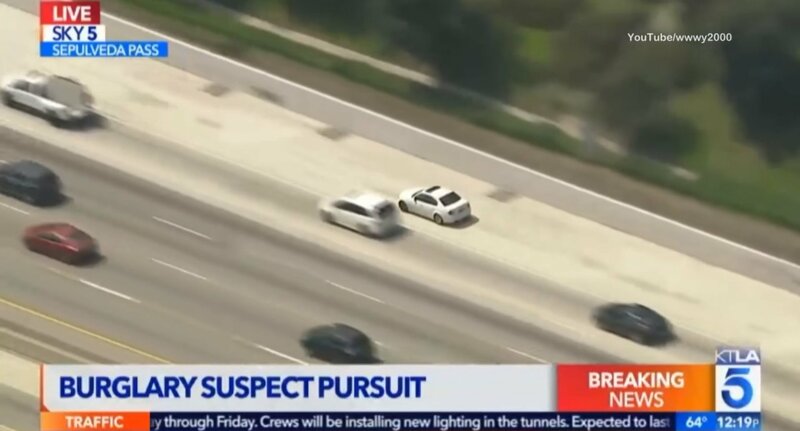 Footage from the trailer revealed that the mid-size sedan will be used in a number of stunts, including being driven by Simon Pegg’s character, Benji, autonomously through what looks to be a futuristic tablet. Ever wonder what an odometer looks like if it reaches its threshold? 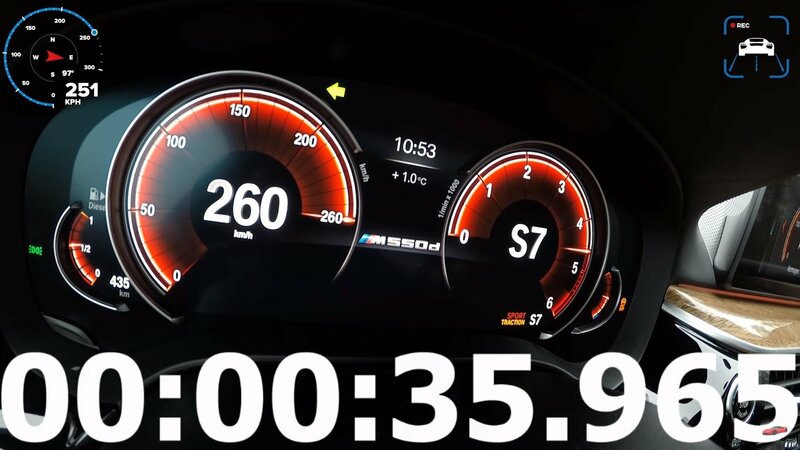 We don’t often get to see that because it rarely happens when we’re looking at it but take a look at this video of aBMW M550xd xDrive get pushed to its performance limit. We don’t see anything other than the instrument cluster, but that’s exactly the point. Our focus is squarely on the numbers, and it shows the exact performance ability of the M55d xDrive. It’s no wonder that this car’s engine is billed as the “world’s most powerful six-cylinder engine in the automotive area.” The display even shows the odometer’s needle bouncing off the limit, a clear sign that the car can go faster if the speed limiter is removed. Before anything else, let’s look at the optics first. The BMW M550d xDrive is powered by a 3.0-liter six-cylinder engine that has no less than four turbochargers in it. Yes, four. All of that translates to a car that can produce a staggering 400 horsepower and 560 pound-feet of torque. Mind you; this is a diesel engine; the power figures speak for themselves. Even the car’s 0-to-62-mph acceleration time of just 4.4 seconds is impressive. Now move beyond BMW’s reported numbers and pay attention to the video presented by YouTube page AutoTopNL. You’ll see the car actually hit 0 to 62 mph in around 4.7 seconds. It’s not exactly accurate relative to Bimmer’s own claims, but it’s close enough to still be quick in its own right. You’ll also notice the speedometer’s needle reach its full threshold when the car achieved its top speed limit. Take a close look, and you’ll see the needle steadily move towards the edge as the car goes faster, ultimately hitting the 260 kmh (155 mph) limit with relative ease. The needle then bounces a few times, a clear sign that even if the M550d xDrive’s top speed is limited, there are still enough horses under that hood to help elevate the car’s performance beyond its own self-imposed limits. Put all these elements together, and you have a car that can live up to its billing as the hottest trim of the M5 that runs on diesel power. 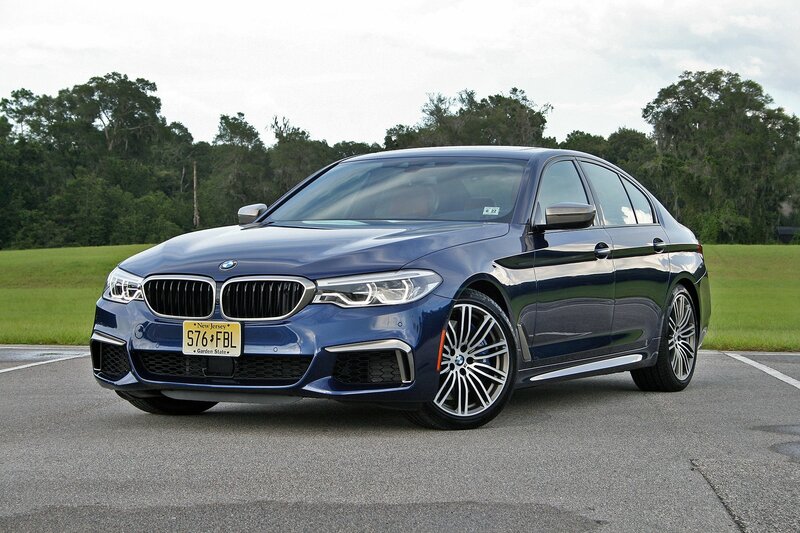 Read our full review on the 2018 BMW M550i xDrive. BMW is recalling a whopping one million vehicles in North America over two separate issues involving fire risks. Both recalls include cars produced from 2006 to the 2011 model years. One recall covers 670,000 3 Series models from 2006 to 2011 model years, while the second recall is issued for 740,000 cars from 2007 to 2011 model years. 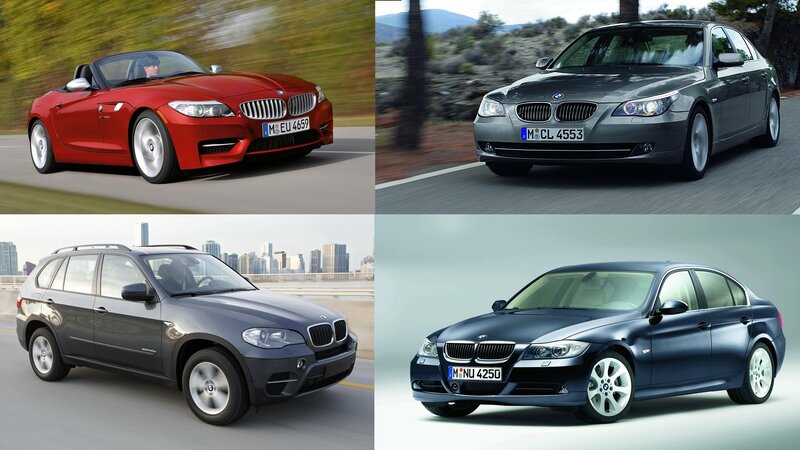 The latter includes the 128i, 3 Series, 5 Series, X3, X5, and Z4 models. Although these figures amount to more than 1.4 million units, BMW says the recalls overlap and cover about one million examples. Nearly all cars have been sold in the United States, while about 15,000 are from Canada. The recalls may expand to other countries in the future, but no specific announcement has been made as of this writing. The first recall for the 3 Series models only will address a wiring issue for heating and air conditioning system. 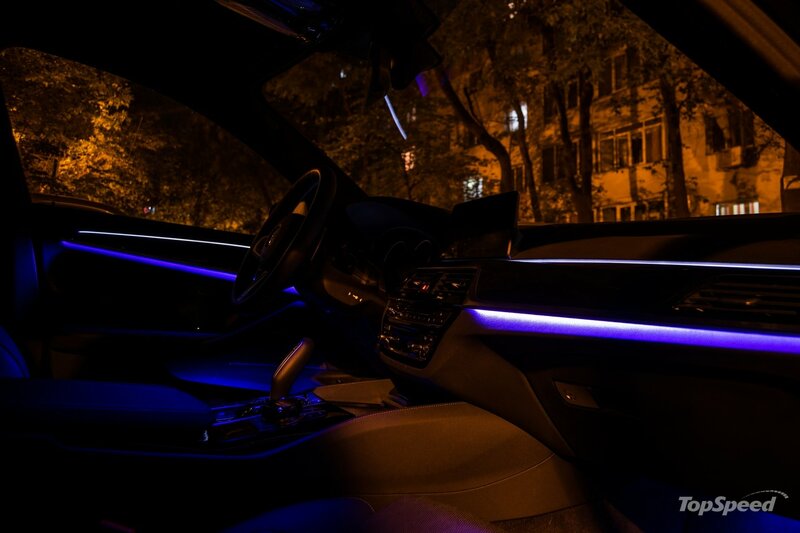 According to the company’s report for the National Highway Traffic Safety Administration (NHTSA), the systems may overheat and could increase the risk of a fire in the car. BMW has reportedly been monitoring the issue since 2008 and has made some improvements in 2011, but some incidents from 2015 and 2016, which led to injuries, prompted a mass recall. The second recall is about a valve heater issue that may cause damage to the engine compartment. No injuries or crashes related to this problem have been reported so far. All cars involved will have their wiring harnesses and valve heaters replaced at BMW dealers, free of charge. Recalls have become an important part of the auto industry in recent decades and, unfortunately, some issues have caused serious crashes, injuries, and even fatalities. So it’s not surprising that the German brand has been monitoring these problems for quite a few years a now and decided to have a big recall before more incidents and injuries are reported. If you own a 128i, 3 Series, 5 Series, X3, X5 or Z4 vehicle built for the 2006 to 2011 model years, make sure you check with the NHTSA and your local dealer for a checkup and fix. Lives may be at stake here, so don’t take any risks. 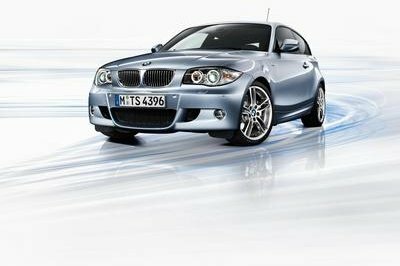 Read our full review on the 2010 BMW 1 Series. 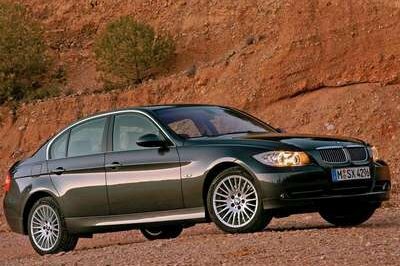 Read our full review on the 2007 BMW 3 Series. 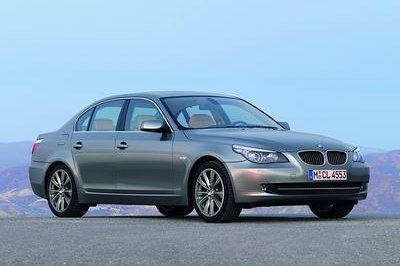 Read our full review on the 2007 BMW 5 Series. 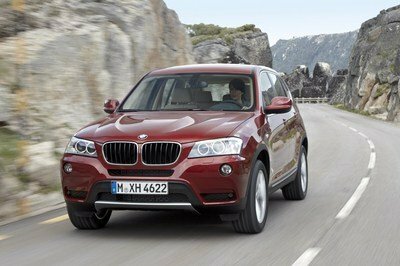 Read our full review on the 2011 BMW X3. 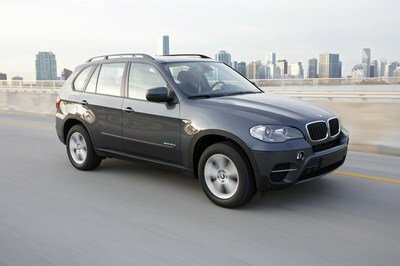 Read our full review on the 2011 BMW X5. 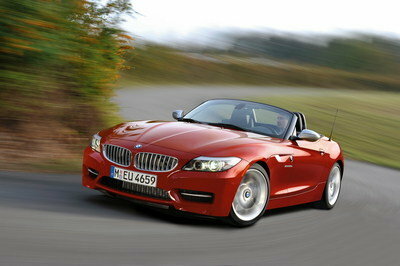 Read our full review on the 2009 BMW Z4. Hopefully you’ve read my thoughts on the 2018 BMW M550i xDrive I recently spent a week with. If not, you should. 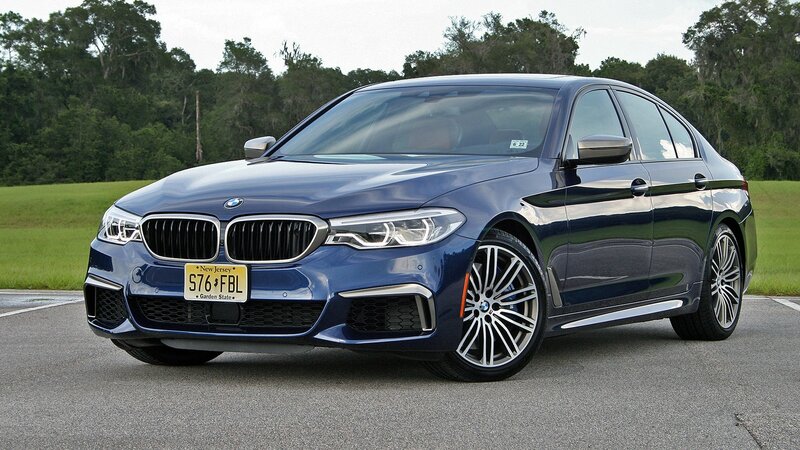 Hopefully you’ve also read the opinions of our fearless editor, Robert Moore, on whether the new 2018 BMW M5 is a waste of money compared to the M550i. If not, again, you should. But having spent time with BMW’s slightly less M-ified 5 Series, I wanted to chime in on the topic. Buckle your seatbelts, you might not like my answer. My confession wouldn’t feel out-of-place in an AA-style meeting: “Hi, I’m Mark and I love horsepower and speed. Oh, and find comfort in tire smoke and going 140 mph down the back straight at Monticello with a V-8 screaming in my ear.” Yeah, I’m that guy. So, it might come as a surprise to hear that I’d buy the M550i over the M5 nine times out of 10. Why? It’s simple: The M550i is a better all-round daily driver that looks just as good as the M5 and has just as much usable horsepower for public roads. See, here’s the thing. I’m not the guy who needs the ultimate version of something to feel self-worth and gratification. My ego would be just fine not having that M5 badge affixed to my BMW. I’m also a realist with a strong suspicion I wouldn’t be autocrossing my five-passenger, full-size sedan every weekend. That’s what Miatas and Corvettes are for. And with the money I’m not spending in the M5, I can buy a mint Miata and throw speed parts at it. And let’s face it, two cars are better than one. Continue reading for more ramblings. Is the new BMW M5 a Waste of Money? Why not Just Get the M550i? We’re fortunate enough to live in a world where brands like BMW take pride in their performance arms and like to apply M-power to just about everything. But, is it for everyone? Probably not. M-cars are typically much more expensive than the model that sits below them, but the tradeoff is usually lots of extra power and slightly more aggressive looks. Unless you’re one of those people that needs to have the best of everything, you could find yourself questioning whether or not the M5 is really for you, and I honestly can’t blame you. The new M5 comes just a year after the 5 Series transitioned into its seventh generation. 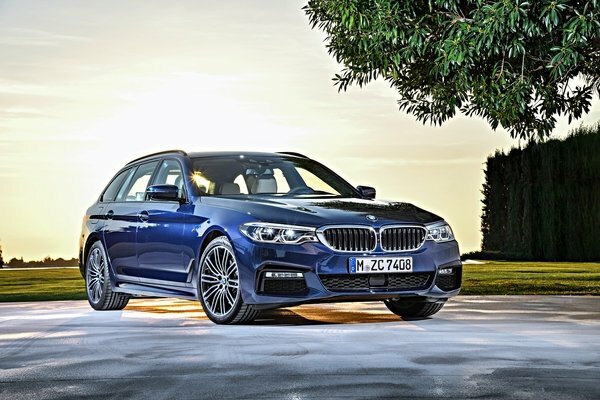 With this transition, the 5 Series lost some weight (as much as 137 pounds) and came complete with some updated engine options that deliver better fuel economy and performance. On top of that, BMW finally decided to give the M5 all-wheel drive (standard in the U.S. but optional everywhere else) which is enough to bring it up to par with the competition from Audi and Mercedes. But, with a car like the BMW M550i xDrive resting just below the M5 in the lineup, do you really need to pony up for the M5? Well, that’s not something I can answer directly, but I would be lying if I told you that the M550i didn’t have some intriguing points to back up why it just might be a better candidate. After all, the M550i is a gorgeous car with attractive and aggressive looks that make it stand out among its brethren, and it does have enough balls to compete on its own in most cases. With that in mind, let’s take a closer look at why the M550i may be a better option for you and talk a little more about it. 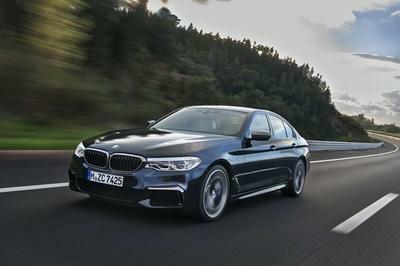 The BMW 5 Series is one of those standard-bearers people use to benchmark other full-size sedans – and for good reason. It’s been well loved by BMW loyalists and jaded journalists the world over. From its home on the German Autobahn going triple digit speeds to weaving its way through the crowded streets of third-world countries where it chauffeurs government officials and local dignitaries, the 5 has been a mainstay for decades. For 2017, BMW debuted an all-new 5 Series, complete with an updated design, an architecture shared with the larger 7 Series, and more driver tech than ever. This new seventh-generation 5 Series also boasts a new M Performance model for 2018 – the BMW M550i xDrive. Think of the 2018 BMW M550i xDrive like this: it’s like the standard 550i, but with its 4.4-liter twin-turbo V-8, suspension, steering, and brakes reworked by the go-fast gurus at BMW’s M Performance division. And since the M5 variant of the seventh-generation 5 Series (G30) isn’t available till March of 2019, the M550i is the baddest 5 of the bunch. But it’s also worth pointing out the M550i xDrive and upcoming M5 have a lot in common. 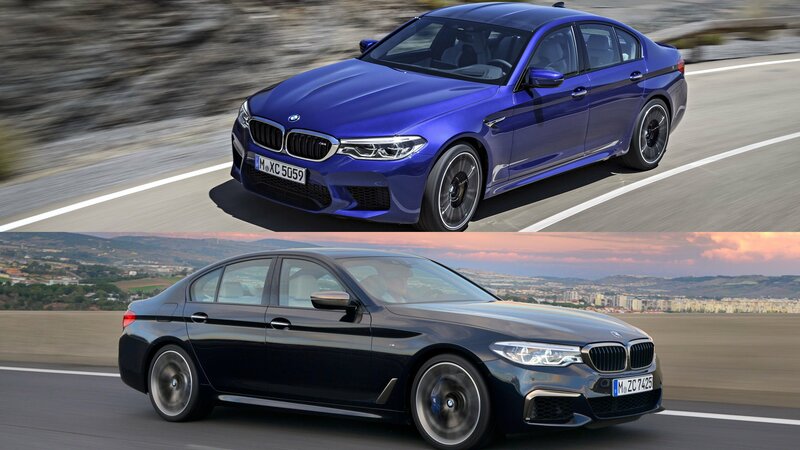 The two share the same V-8, though the M5’s will have more power thanks to larger turbos and a higher-flow fuel injection system, among other upgrades. The M5’s suspension will use stiffer bushings to match its sticker tires. The M5 will also have more driver control over the xDrive system and drive modes. And, of course, the M5 will have a more aggressive appearance to go with its track-focused performance. Still, the M550i is a 456-horsepower beast capable of hitting 60 mph in roughly 3.9 seconds yet treats its occupants to opulent luxury befitting a more dedicated cruiser. The 2018 BMW M550i is the quickest 5 Series currently offered thanks to its 4.4-liter, twin-turbocharged V-8 making 456 horsepower and 480 pound-feet of torque – aided by both a smartly calibrated ZF eight-speed automatic and BMW’s xDrive AWD system. At full grunt, the prodigious power will launch the 4,300-pound M Performance sedan to 60 mph in just 3.8 seconds. But that’s not this Bimmer’s coolest feature. No, that goes to its HVAC system with dual fan speeds for the driver and front passenger. Thankfully, the BMW M550i has a solution: dual fan speeds. Yes, the driver and front passenger can set their own A/C temperature and fan speed. Welcome to the future. This means we both can have our A/C set exactly how we’d like without disturbing each other. I can be cool and breezy while she’s happy with warm and toasty. What’s more, we each can select our own blower location. That means she can warm her feet while I cool my body. Both sides also have a full Auto mode, too. It’s this level of individuality that truly ushers in luxury within a vehicle. The rear seat also has its own temperature control, though it’s set by a knob from cool to warm without displaying the actual temperature. Vent speed follows the front seats. I know having dual fan speed capabilities must cost more, but would you like to see this feature on more vehicles? I know BMW’s 7 Series also has dual fan speeds, but that’s about it. Can you name any other vehicles with this feature? Let me know in the comments below. The famous German tuner of BMW and MINI cars have released a full package for the new G30 and G31 2018 BMW 5 Series. That is sedan and wagon (estate) models. The treatment includes pretty much all you can ask – engine, suspension, exhaust, wheels, body kit, interior, the lot. The meat of AC Schnitzer BMW 5 Series program for 2018 is the performance upgrades they have devised for the car. 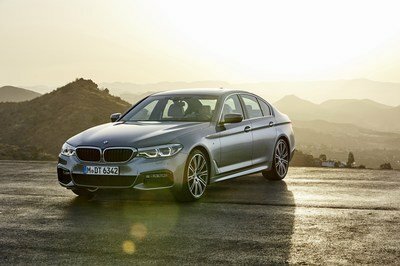 The 540i gets a power upgrade from 340 to 400 horsepower, 530d makes 315 instead 265 horsepower, and there are similar boosts in the works for M550i, BMW 530i and BMW 520d models. The engine kit goes really well with AC Schnitzer sound module with remote control which allows drivers of all models to enjoy a motorsporty soundtrack, although this too is a late-availability option. As for the aesthetics, the discreet yet luxurious looks of the 2018 BMW 5 Series by AC Schnitzer owes its sexiness to a bunch of add-on parts, namely carbon front spoiler, side skirts and rear diffuser insert. Saloon drivers can enjoy a top class racing look with the AC Schnitzer rear roof spoiler and rear spoiler. A carbon racing rear wing will shortly also be available for the saloon. For the Touring, there is also the rear roof wing which both provides additional downforce and reduces drag. Pair these with one of AC’s cool and sporty wheels and you’ll end up with a 5er that looks like a million dollars tax free! 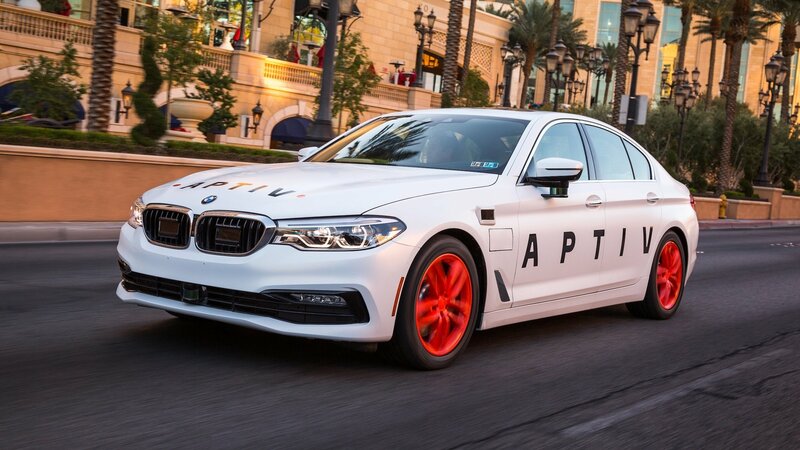 The post 2018 BMW 5 Series by AC Schnitzer appeared first on Motorward. In a world often taken up by personalization divisions and aftermarket options, it’s easy to miss out on the benefits of something as simple as an add-on package. They don’t get the flashy reviews or the top-of-the-page headlines, but there is an argument that they’re just as effective in giving life vehicle. BMW’s M Performance Parts is a good example of that since it’s often overshadowed by tuning companies and Bimmer’s Individual personalization division. But as it showed in the 5 Series Touring variant of the mid-sized luxury sedan, there’s more to the M Performance Parts than meets the eye. The treatment itself is getting some well-deserved shine at the 2017 Geneva Motor Show where BMW will be displaying the 5 Series Touring with M Performance Parts in all its glory. It might be hard to recognize the difference, but rest assured, the package comes with an assortment of sporty goodies meant to drive up the personality of the 5 Series Touring. 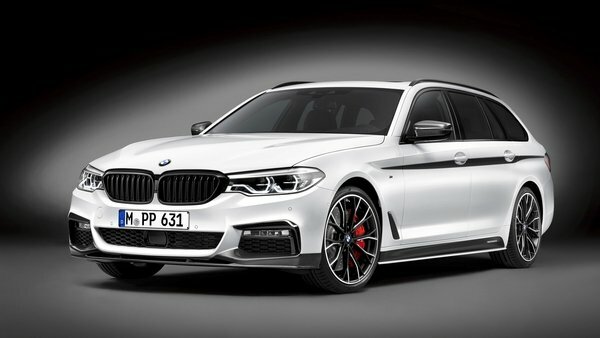 Starting with the exterior and moving to the interior and the engine (yep, there’s an optional power kit included) the M Performance Parts lives up to its name by turning the 5 Series Touring into a veritable M car. It may not carry the iconic M badge, but that’s just a matter of cosmetics. 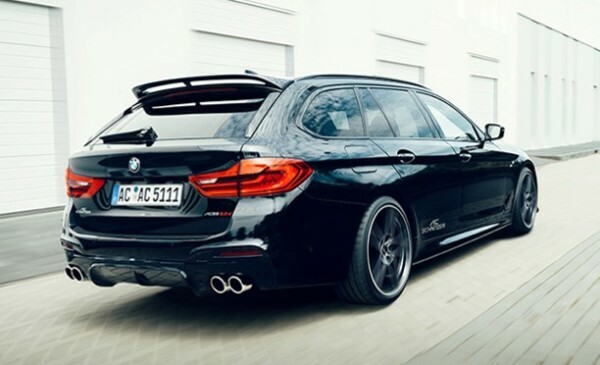 The BMW 5 Series Touring with M Performance Parts looks and acts like an M car. That in itself is worth giving the station wagon the attention it deserves. BMW just revealed the 2017 5 Series Touring model, giving the recently debuted seventh-gen mid-size 5 Series line an extra dose of usability and practicality. 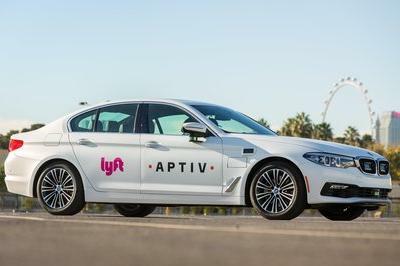 The new model gets the same styling outside as the updated 5 Series sedan, plus new interior technology, the latest driver’s assists and safety features, and enhanced infotainment. Four engine options are on the table at launch, all of which are turbocharged. On the gasoline front, there’s 2.0-liter four-cylinder with 252 horsepower and 258 pound-feet of torque, mated to a standard eight-speed automatic transmission and posting a 0-to-62 mph time of 6.5 seconds. There’s also a 3.0-liter six-cylinder and eight-speed auto combo, plus AWD, which lays down 340 horsepower and 332 pound-feet of torque for a 0-to-62 mph time of 5.1 seconds. It you prefer oil burners, you can get a 2.0-liter four-cylinder diesel with 190 horsepower and 295 pound-feet of torque, which mates to a six-speed manual transmission as standard (the eight-speed is optional), and gives a 0-to-62 mph time of 8 seconds. Finally, there’s a 3.0-liter six-cylinder diesel with 265 horsepower and 457 pound-feet of torque, offered with either RWD or AWD, plus an eight-speed automatic. All that twist yields a 0-to-62 mph time of around 5.6 seconds with AWD grip added. BMW says it’ll add further engine and drivetrain options, including both RWD and AWD models, throughout the year. Additional aluminum was used to reduce overall weight, including in the side members and the tailgate, cutting up to 100 kg (220 pounds) compared to the outgoing model. The suspension incorporates a rear air ride system as standard, while Dynamic Damper Control, an Adaptive Drive system, Integral Active Steering, and M Sport suspension are all optional. 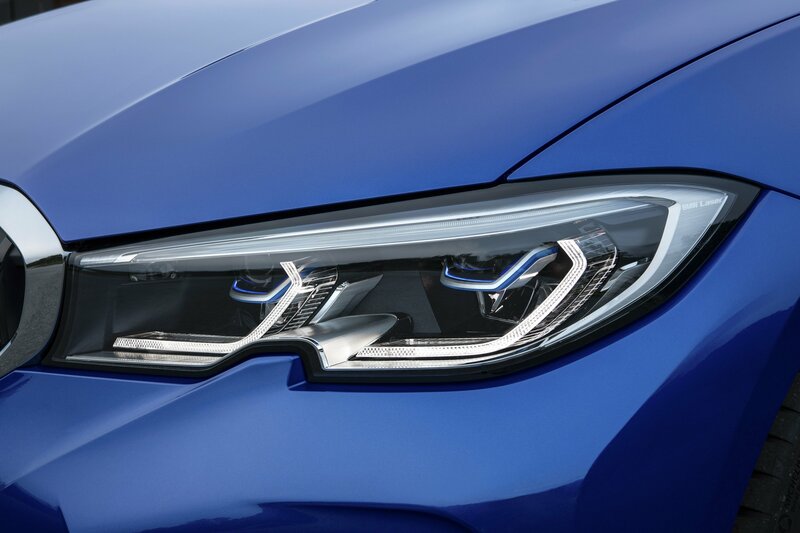 Outside, you’ll find active grille shutters in the nose, plus standard LED headlights. In the cabin is a Wi-Fi hot spot, a 10.25-inch touchscreen, a color heads-up display, gesture control, voice control, and wireless phone charging. The seats also get eight massage programs, while the rear cargo space is up to 570 – 1,700 liters (20 – 60 cubic feet). Safety features include steering assist, lane keep assist, lane change assist, cross traffic warning, and wrong-way warning. Look for the new 5 Series Touring in the metal at the 2017 Geneva International Motor Show this coming March. Sales will commence in June. No word on whether or not BMW is planning on bringing this thing stateside, but odds are against it. And that’s a shame, because the U.S. could absolutely use more wagon hotness, don’tcha think? I’m a big fan of BMW, so when they finally rolled the new 5 Series onto their show floor in Detroit this week, I was super stoked to check it out. Of course, I had to stay behind the velvet rope until after their press conference and all of that, but once that was done, Bimmer lifted the ropes and let your boy in to check out all of the finer details of its new 5 Series Sedan. While the cabin was spacious and the tablets for rear seat passengers were cool, what really interested me was the navigation system up front. Most stock navigation systems are pretty much the same these days, and maybe other models have the same functions, but BMW’s was insanely fast and responsive and was actually able to work under the metal roof and beams of the Cobo Center in Detroit. The initial display is pretty basic – it’s your normal birds-eye view of the area with a little blip showing your exact location, but zooming in gives you a mildly 3D representation of the area around you. Zooming in even further gives you a street-level view of sorts that shows all of the buildings in their exact locations and with relative height. Naturally, I didn’t get to see the navigation in action outside of viewing my location and playing with the view, but if the responsiveness and quickness of the system are any indication, this system should make navigating unfamiliar territory a breeze. And, for the record, the rest of the system was fast and responsive as well, including phone pairing, XM radio station selection, onboard music storage loading and browsing, and navigating the various menus and settings as a whole. 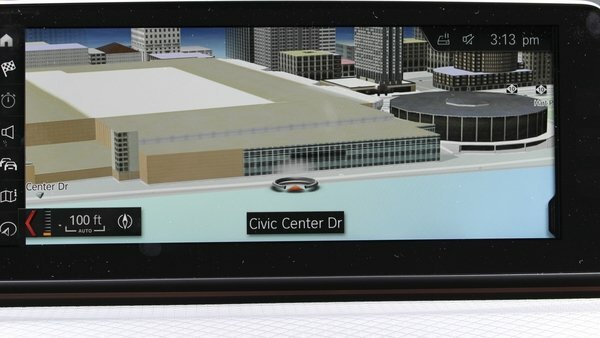 Maybe the systems from brands like Mercedes and Audi as just as good, but I was pretty impressed with what BMW brought to the table with the system in the 5 Series. It beats the standard google navigation system I’ve been so accustomed to for so long; that’s for sure.